On a sunny, crisp April day, a dozen outdoor enthusiasts sit around a table in Whitesburg, Kentucky inside the county’s extension office. 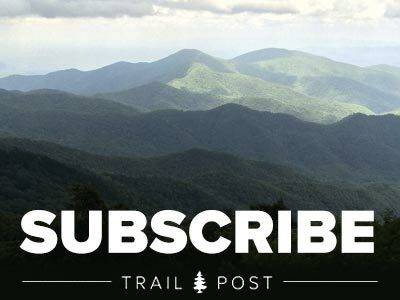 In front of each member of the Pine Mountain Trail Conference is a proposal for the Cloudsplitter 100 Mile Ultra on October 4, which would traverse the mountain looming just outside the room’s windows. 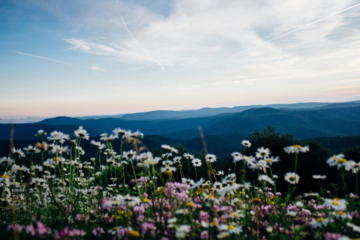 Pine Mountain, a 123-mile-long ridgeline, straddles the border between Kentucky and Virginia. It creates a natural castle wall, which proved to be a challenge for the likes of Daniel Boone and other early explorers looking west for opportunities during the early years of our country. The rugged mountain also harbors some dark secrets with its thick, wooded gaps that served as passageways for moonshiners and outlaws. Remnants of the mountain’s rich history abound today in the stone foundations of century-old cabins to mysterious grave-like mounds. Pine Mountain’s fortress-like rock face was once considered to be an impediment to early exploration. Today, its challenging terrain is becoming an asset to local communities. The proposed new ultra race is spearheaded by Susan Howell, a running enthusiast from Kentucky. 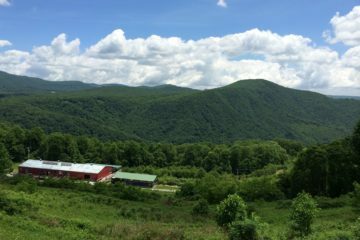 “When I came out and saw Pine Mountain, I said to myself, we’ve got to come out and do something here because it’s just so spectacular,” said Howell. 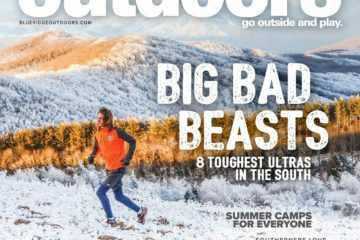 The 100-miler (which will also include a 100K, 50K and 25K option) is the first ever of its kind for Kentucky, and already the race is making headlines. The Cloudsplitter is a USA Track & Field sanctioned event and will be the Mountain Ultra Distance and Trail Championship event for Kentucky. The Cloudsplitter is also a race so intense Howell has enlisted the help of the Kentucky National Guard to be a support unit for runners. The ultra runners will have 40 hours to complete the course, which will begin and end in Elkhorn City, Kentucky. Runners will climb 2,000 feet in elevation in the first six miles and almost 26,000 feet total. 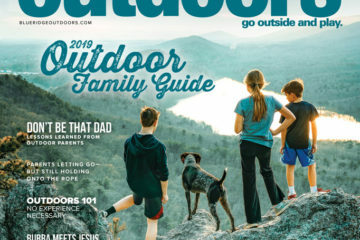 “These trails bring an international crowd to town,” said James Stapleton, a local biologist and member of the Pine Mountain Trail Conference. In early 2013, Susan Howell started looking for a location in Kentucky to hold a trail race. She presented her idea to the Pine Mountain Trail Conference, the governing body which manages the 110-mile trail system that hugs the ridge of its namesake range. The idea was met with excitement but with questions about supporting a race of this magnitude in a relatively impoverished region. Most vehicles in the area sport bumper stickers with phrases such as “If you don’t like coal, don’t use electricity” and “Friends of Coal,” so it’s easy to see where local alliances lie. 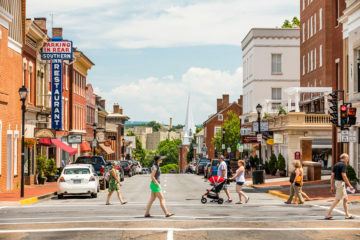 Mining continues to drive local economies, even though the volume of coal being extracted and blasted out of the surrounding mountains has diminished greatly from its heyday in the 1950s. 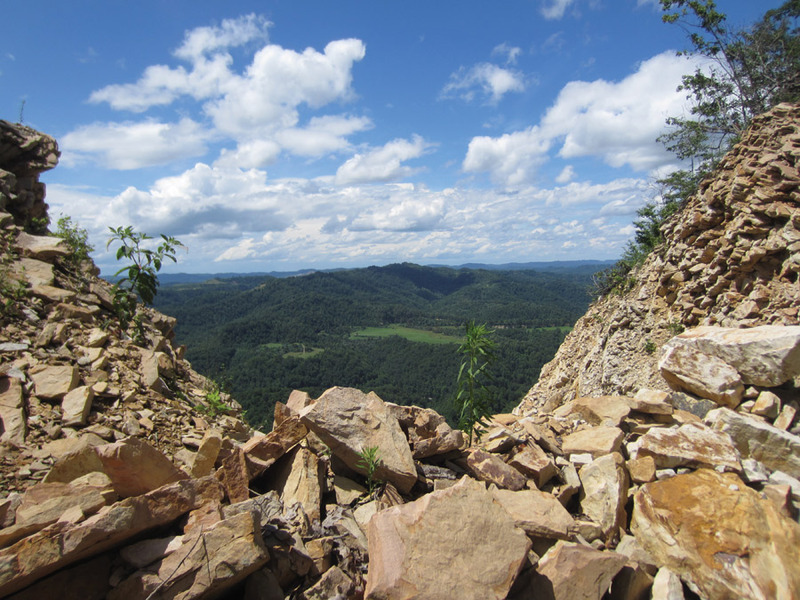 So how do these communities shift a mindset from mountaintop removal to Leave No Trace? 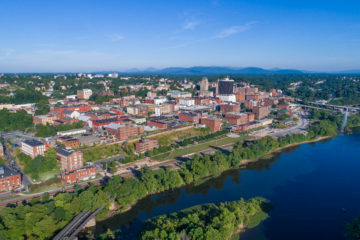 Stapleton says changing people’s opinions of events like the Cloudsplitter 100 and others means showing positive impacts these types of economic drivers can have on communities such as Whitesburg and Elkhorn City. Luckily the mining industry has largely left Pine Mountain untouched because of a lack of coal. 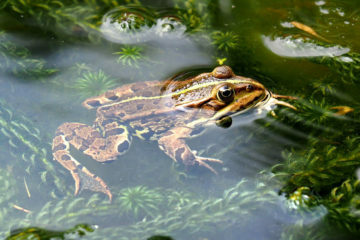 While there may be a lack of carbon inside the mountain, there is no lack of flora and fauna diversity on the ridge. 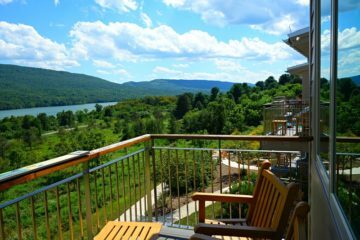 The mountain is covered with spectacular natural features such as waterfalls, house-sized limestone boulders, caves and hidden mountain streams and ponds. Dense forests and thick rhododendron tunnels can darken the trail to almost headlamp conditions. 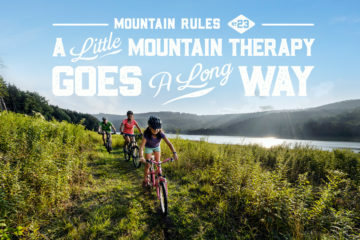 The remoteness of the trail adds an extra element of adventure to anyone who challenges the mountain; only six roads cross the entire 110-mile footpath. Accompanying the race will be craft fairs and a race festival featuring local artists, musicians, and vendors. Along with the festival atmosphere, runner-infused money into local hotels, restaurants and outfitters may lead to a change in mindset for community leaders. Pine Mountain is already home to another extreme sports event. 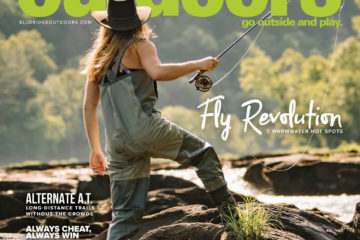 The Lord of the Fork Whitewater Race is held on the Russell Fork River, which sits at the base of the 3,500-foot mountain, and boasts class V rapids for competitors to navigate. 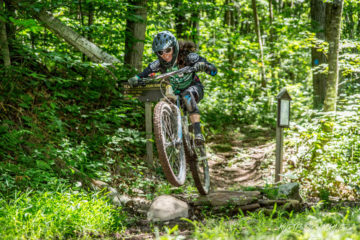 The Pine Mountain Trail Conference is hopeful that events such as Lord of the Fork and Cloudsplitter will put the range on the map as the adventure tourism destination in Kentucky. Illegal off-road vehicle use has been a hot topic among race organizers. ATV riders have left their mark on Pine Mountain in the form of giant, man-sized ruts that cause erosion and muddy trail conditions. ATV enthusiasts also contribute heavily to garbage along the trail that greatly detracts from the serenity and natural feeling. Stapleton says the Pine Mountain Trail Conference isn’t against ATV enthusiasts, but he believes there are just better places to ride than the Pine Mountain Trail. Locations like reclaimed mine lands are perfect ATV courses, where roads, once used by heavy machinery, braid the old mines and are hardened, making great riding trails. The soft mountain soil of Pine Mountain is not meant for heavy all-terrain vehicles. In the end, Howell, Stapleton and others aren’t content with the Cloudsplitter 100 being just another trail race. They are working to turn this mountain into an engine that drives the region. Find out more and register at cloudsplitter100.com.